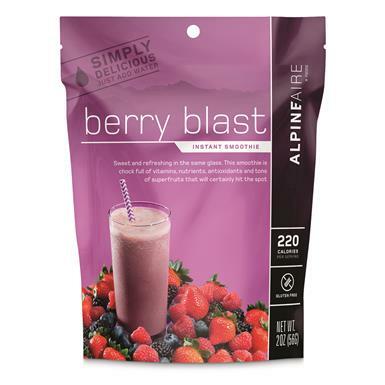 Consider your craving satisfied and energy restored with AlpineAire Smoothie Mix. 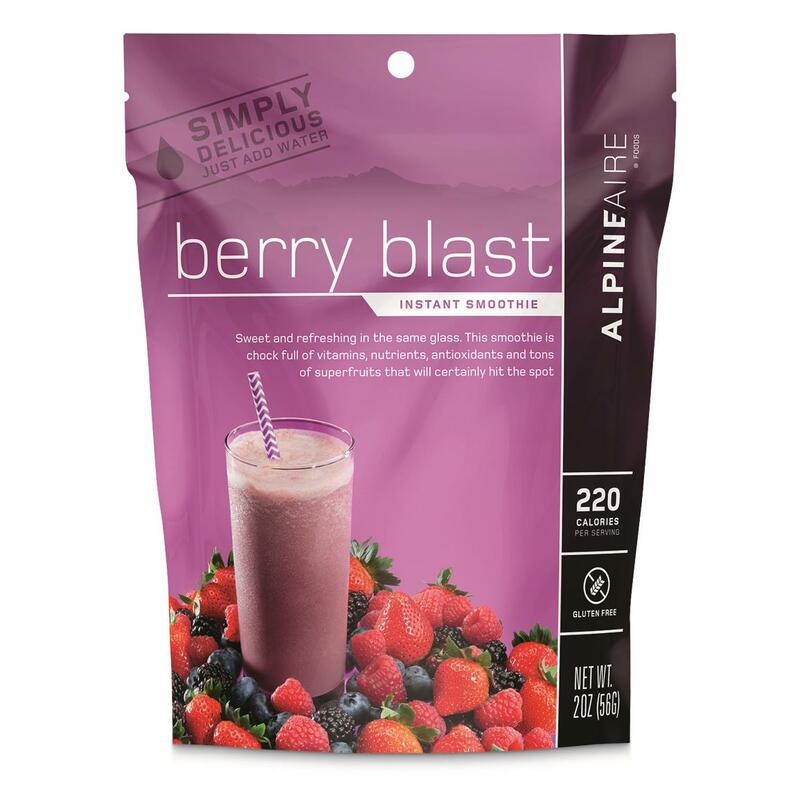 Anytime, anywhere, on any adventure, this Berry Blast Smoothie is ready when you are. 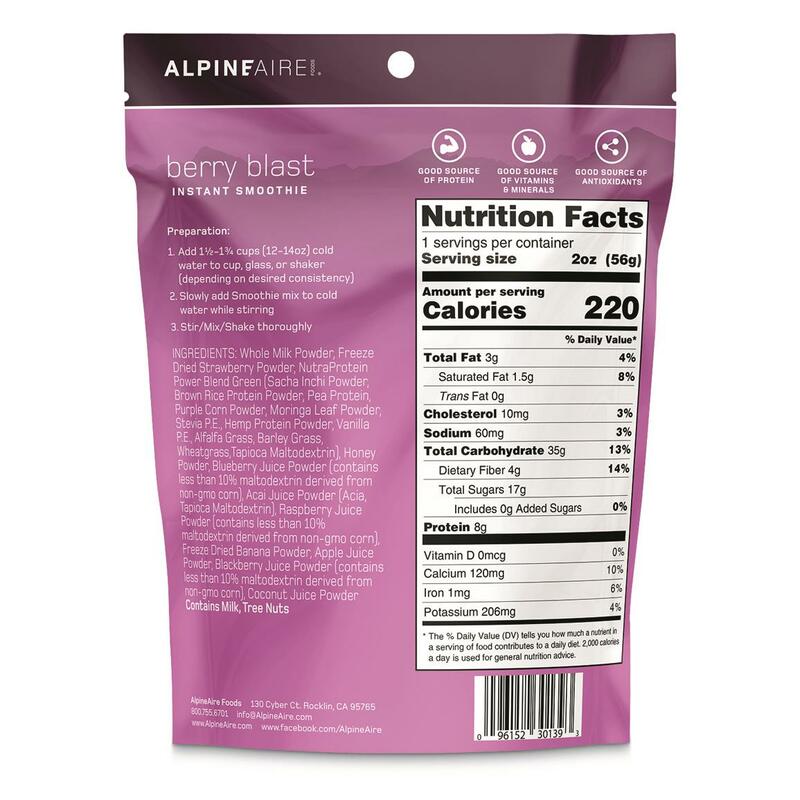 Chock-full of vitamins, nutrients, antioxidants and tons of super-fruits that will hit the spot. Great for breakfast or a quick healthy snack. Taste how smooth these are!